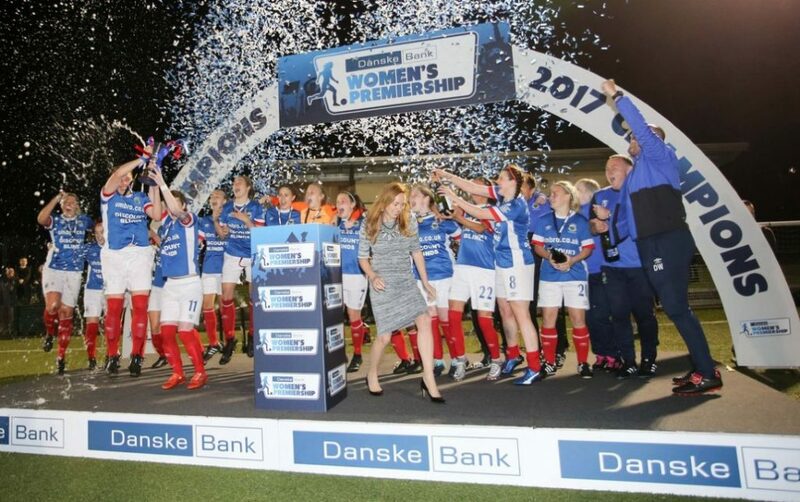 Linfield last night retained their Dankse Bank Women’s Premiership title with a comprehensive 4-1 victory over Newry City in the title show down. The title holders made a great start, going 2-0 up in only a dozen minutes. Megan Bell won a penalty which Kirsty McGuinness converted, before Alison Smyth’s powerful strike from 25 yards riffled into the roof of the net. 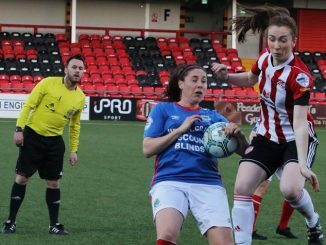 Newry had a spot-kick of their own just short of the half hour mark, Aimee Mackin brought down inside the box and Amanda Dias scoring to halve the deficit. 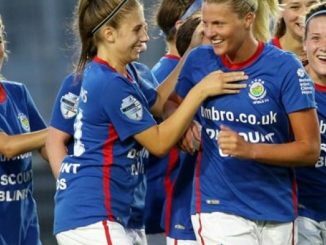 Lauren Perry held on well to a powerful strike from Mackin to prevent an equaliser, with Linfield going 3-1 up when Smyth pounced on a loose ball inside the box to stab home. Linfield sealed the title 10 minutes into the second half, as McGuinness curled the ball into the top right corner from 25 yards. In the end, Newry had to settle for third place, as Sion Swifts thrashed Ballymena United All Stars 10-0 to finish as runners-up. Newry and Sion still have the Electric Ireland Cup to play for, on Thursday 7th September at Windsor Park stadium.